Alright, so read this and tell if something like this ever happened with you. You deleted some of your important videos from your Android device by mistake, maybe you wanna clear some space up and it ended up deleting some of the important videos that you may have. In such a situation, you may end up asking “Can I restore deleted videos from my Android phone?” The answer to this question is Yes! Have no idea of how to recover deleted videos from Android? Read the following carefully to find out the answer. 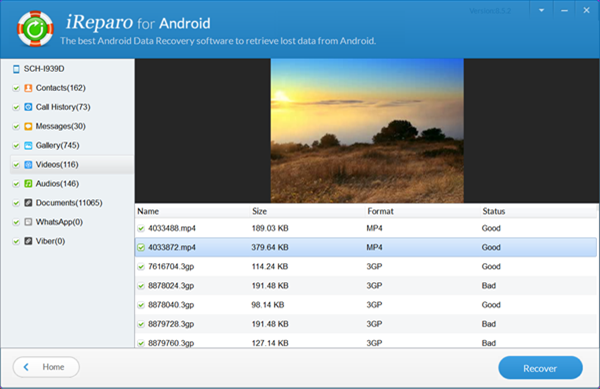 There are certain programs which can help in retrieving deleted Videos from an Android device. Now, if you go online to find such programs, then the chances are that you won’t be able to make a choice. This is certainly because there are quite a lot of guides available, some of them work fine while others not so much. Well, don’t worry! In this post, we would be covering on the most useful tips and tricks that can help you get back deleted videos from Android phone effortlessly. Now if that sounds interesting, let us top into it. A laptop with a Windows or Mac system. A USB cable with good condition. An Android phone with at least 60% remaining power. 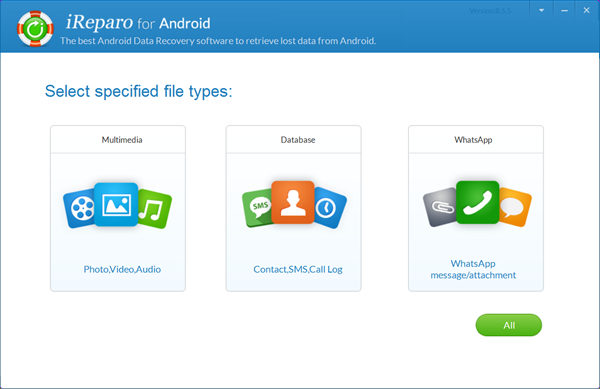 An Android data recovery software like iReparo for Android or Gihosoft Free Android Data Recovery Software. First of all, download and install the iReparo for Android program on your Windows or Mac desktop. It’s the best video recover software for Android with advanced algorithms and superb scanning technology. What’s more, this software has been included in multiple download sites, like softonic, cnet, softpedia, zdnet, soft32, uptodown, etc., you can get it from these sites or download it from jiho.com directly. Once you have successfully installed the program on your computer, select Multimedia > Videos or Photos and Audios, then click on the Next button. First of all, go to the Settings on your Android Device. Now, scroll down to find About phone and tap on it. Tap on Build Number 7 times until you see a toast message saying, You are now a developer. 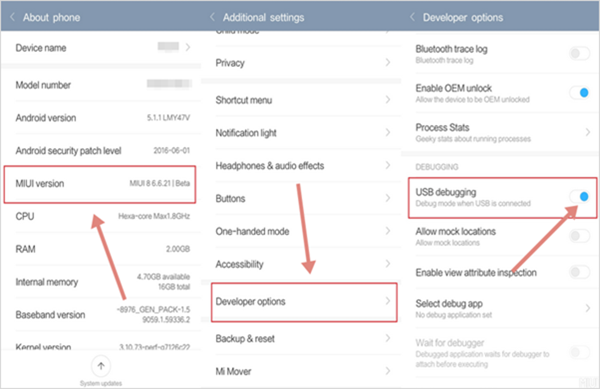 Now, go back to your device’s settings and tap on Developer Options. 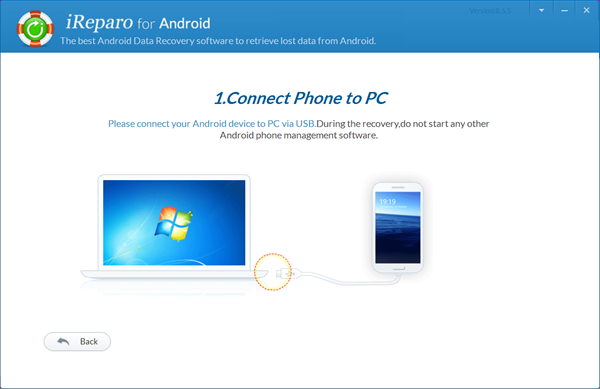 Now it’s time to connect your Android phone to your PC via a USB Cable.If you get any prompt regarding Allow USB Debugging on your Android Device, then just tap on Allow. Once connected, click Start to scan to the lost files. You will now be able to Preview the media files which you have deleted. 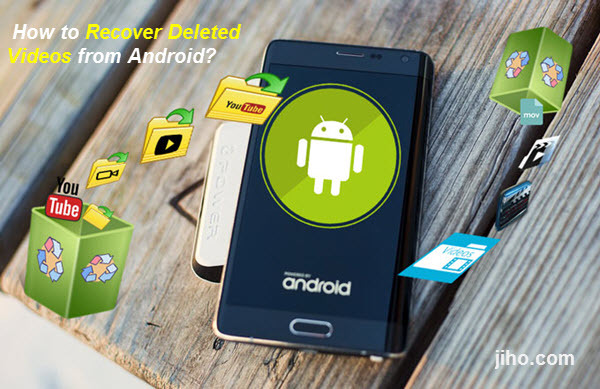 After selecting the deleted videos you want to restore, tap Recover to start the process of retrieving deleted videos from Android. Once the process has been completed, you will get all the deleted videos back. The above is the specific method of restoring deleted videos from Android phone. Pretty easy, isn’t it? But as people say, prevention is always better than cure. So why don’t you take a backup beforehand just to be on the safer side? Don’t know how to do that? Well, let us guide you! First of all, download and install the Phone Transfer Software on your computer. Then run it and get into the main interface. Select Backup Your Phone. Connect your Android device to your PC via a USB Cable. Now, check the type of files you wanna take a backup of and click on Start Copy button. That’s it! Once you have created a backup, you can quickly retrieve lost videos, photos, music and so on from backups when they are lost or deleted by accident. 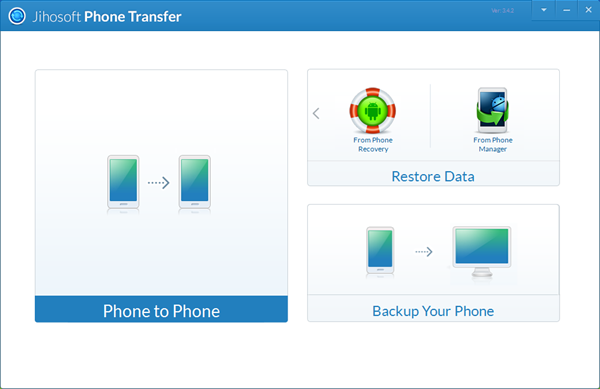 Knowing how to back up and restore the data in the Android phone, you no longer have to worry about data loss! Just in case, if you have stuck somewhere between the steps or have any queries related to the topic, then feel free to leave them in the comments section down below.